A replica of Fildes' coronation portrait (1901), commissioned from the artist and presented to the Gallery by George V, 1912. It shows the king wearing a field marshal’s uniform, the highest rank in the British army. 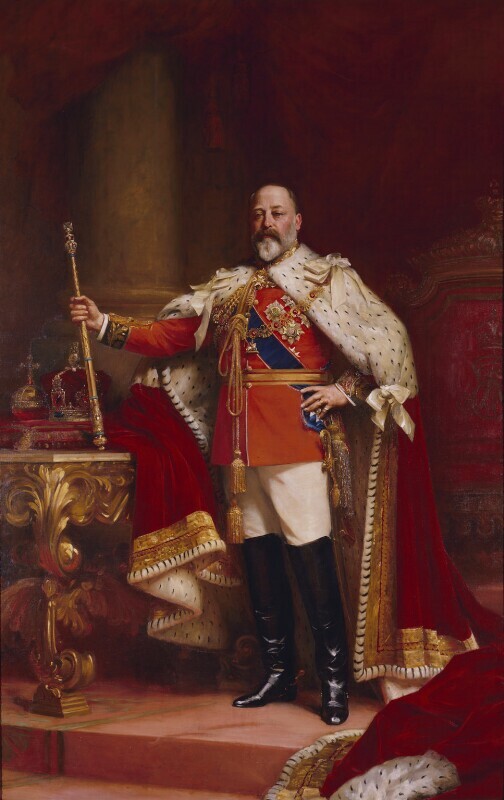 Back in 1956 I stood in front of Fildes' portrait of Edward VII. An elderly man came up beside me, looked at the portrait for a minute or so, said, "E was a proper king, e was", and walked away.